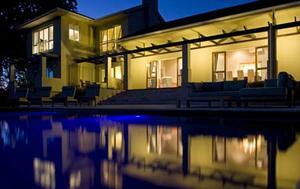 Protea Heights Farm is located in Devon Valley just 10 minutes from the center of Stellenbosch. We have a total of 21.6 hectares with 10 hectares of flowers and 5 hectares of vineyards. Back in the late 1940s, it was the first farm in South Africa to cultivate protea flowers and I believe was the first to export flowers in the late 1960s. Our flowers bloom throughout the year, with Europe as our main export market. Four of the varieties that we grow were hybridized by our former farm manager and are unique to our farm. We have two graduate students from Stellenbosch University involved with research projects to help growers with improving the quality of the flowers. Our four star guesthouse is an enlightened example of comfortable meets chic, welcoming detail meets wonderful destination. Inspired and eclectic by design, our style reveres the Cape wineland’s country roots with a twist of city sophistication. The twenty one hectares of gorgeous flowers and vineyards provides the perfect base to explore the winelands or just relax in an atmosphere of quiet luxury. Whether you are looking for a long holiday or a short break, our staff will make sure that your experience is a special and thoroughly enjoyable one. 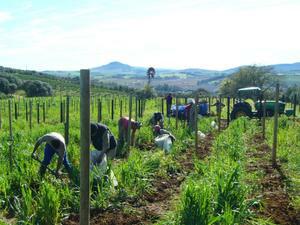 In August 2009 we began planting our first vineyards. Petit Verdot, Cabernet Sauvingon and Merlot. In 2010 we finished our planting with more Cabernet Sauvignon and Merlot along with Cabernet Franc. We selected a small block that is our coolest site for some Pinot Noir. 2015 we harvested roughly 30 tons in total of Merlot, Cabernet Sauvignon, Cabernet Franc and Petit Verdot! Spacing is 1.8m by 1.2m and we have also chosen to experiment with 1m by 1.2m on the majority of our Cabernet Sauvignon. The slopes are primarily south to southeast facing at an altitude ranging from 600 to 750ft. 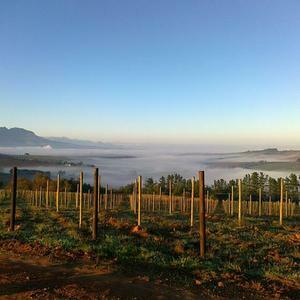 Devon Valley is fortunate with afternoon winds that pull cold air from False Bay bringing the temperature down by 10 degrees or more. We have a variety of clay soils - Oakleaf, Tukulu, Dresden to Vilafonte. The farm continues to produce export quality protea flowers for export and local markets. The inspiration for the name of the wine and design of the labels was a trip to the Yale Center for British Art. An exhibit of Mary Delany’s work, a remarkable series of botanical collages that are beautifully crafted with hundreds of tiny pieces of cut paper was breathtaking. 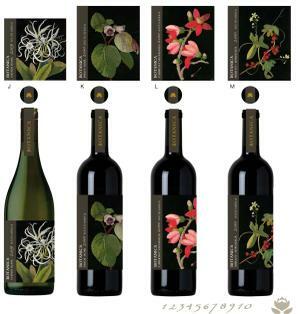 I am fortunate to have licensed a few of her collages and created these beautiful labels with her art as the primary focal point. Mary was 72 when she created these pieces in the late 1700’s. The grapes for this wine come from a vineyard high in the mountains of Clanwilliam, 25 miles from the sea at 1600ft elevation. 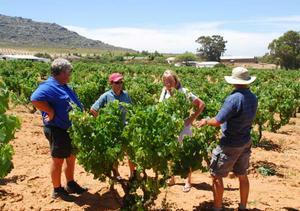 Dry farmed, as there is no longer any water available, these 50 +/- year old vines produce a mere 2.5 tons per hectare. The wine has lime/citrus notes with firm acidity. 50% barrel fermented/matured in 400 litre french oak barrels. Hemel en Aarde grapes from an upper valley vineyard block. Layers of dark berry fruit.